A play on words (Japan’s Gentlemen Take Polaroids is probably my favourite album of the 80s) Gentleman Takes Polaroids offers an very personal insight into the Eighties – from someone lucky enough to have grown up in this much-maligned (and in my opinion misunderstood) decade. The posts here are personal snapshots, mental polaroids if you will (both David Sylvian and Nick Rhodes would have loved that idea!) of My Eighties Youth. Like the best memories, they are random, sometimes hazy and delightfully skewed by hindsight. 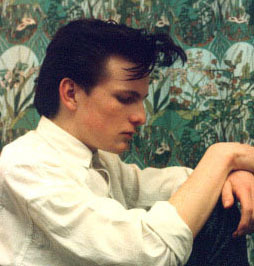 In 1983 – my favourite year of the decade – I was 16 years old. I idolised David Sylvian. I experimented with make-up. I had a shirt that buttoned up at the side! So welcome to My Eighties Youth. Hope you’ve brought your hair gel!